Are you the proud owner of a high energy pup? 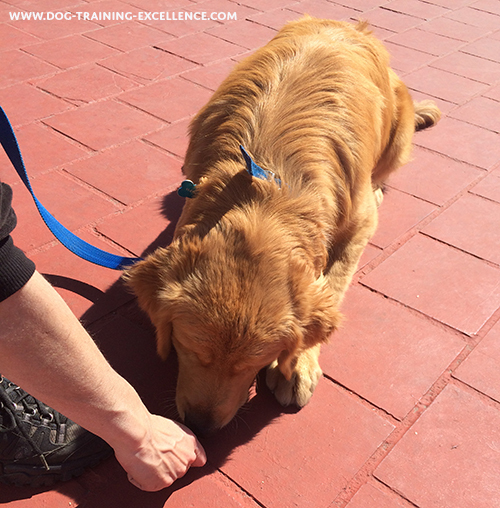 Training a puppy dog can be a daunting task when you are not sure what to do. It gets worse when everyone is trying to give you advice and making it all even more confusing! You will find in this website advice, tutorials and information based on behavior science. 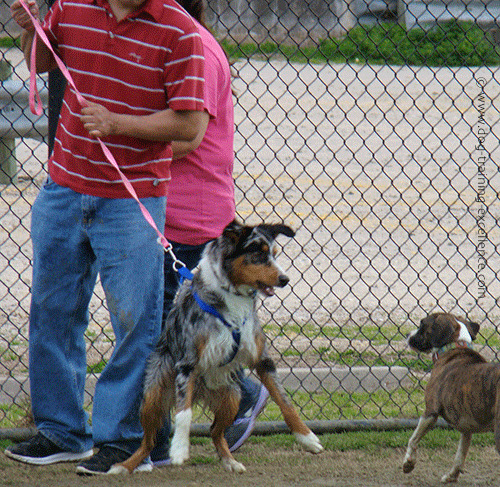 You will learn dog obedience puppy training using gentle methods and fun activities. 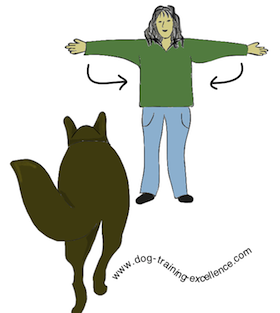 Positive dog training techniques are reliable, fun and they will bring you closer to your furry friend! The one thing you will need is patience. Learning takes time, your puppy is getting to know you and trying desperately to understand you. It is up to you to find the best way to communicate. Understanding how dogs learn and how they communicate will help you and your pup become true best friends. How do you start training a puppy dog? 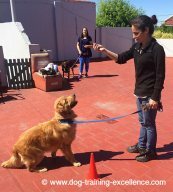 There are 3 main things you should focus on training your dog while still in its developmental stages. The reason they need to be taught early in your pet's life is because it will become harder (almost impossible in some cases), if you wait until your dog grows to adulthood. Other things, like training commands and manners can be taught at any age in your pet's life, so focus on the most pressing matters first and then move on. Teaching your dog to eliminate outside takes time and patience, but if done correctly and with positive methods it can be accomplished in about a week! Follow this link for more information. 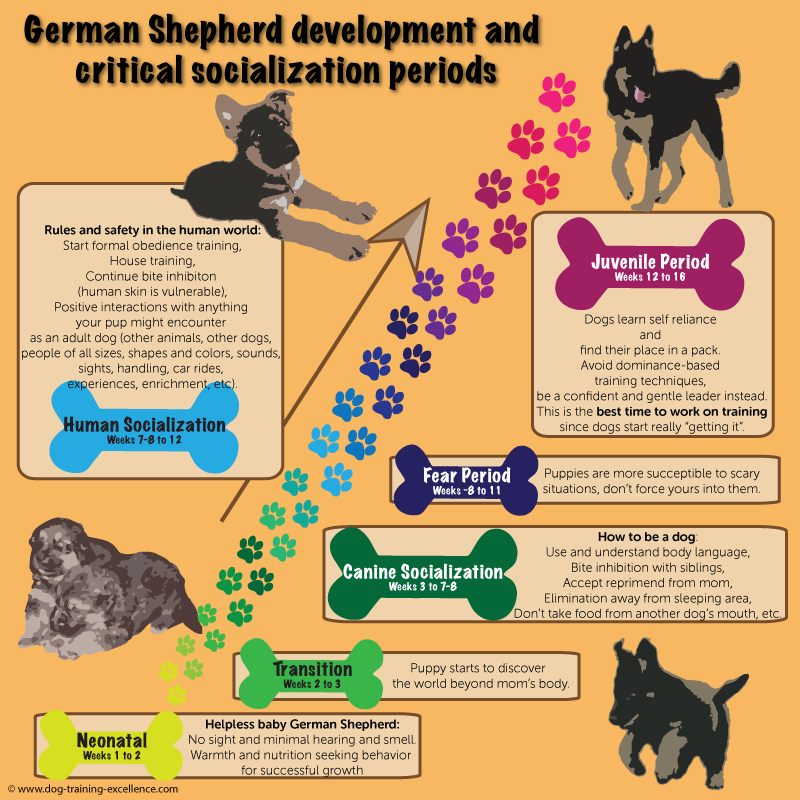 Dogs go through several critical periods during their development. Socialization is one of the most important ones. 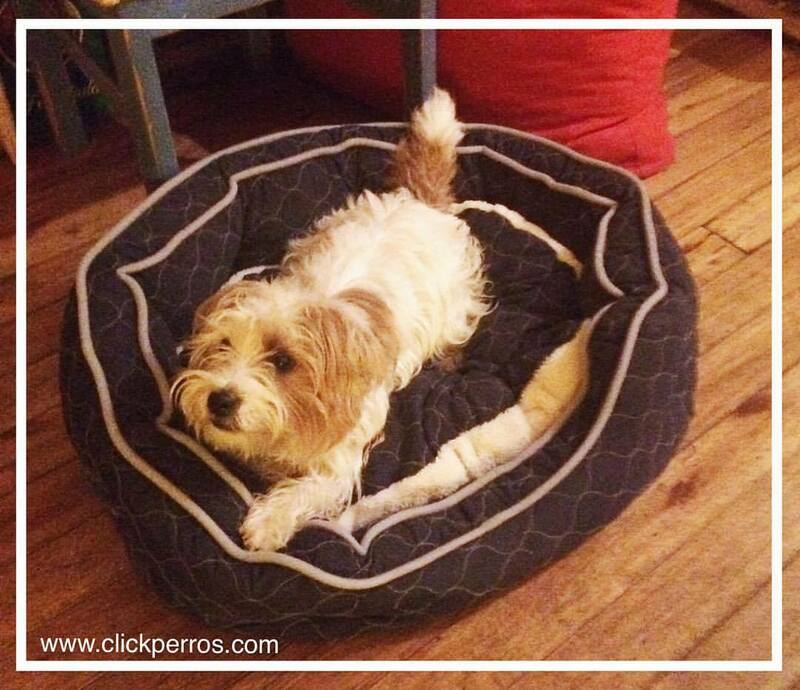 During this period you should work with your little canine friend intensely but causiously because the window to get a healthy, happy and confident dogs is short. 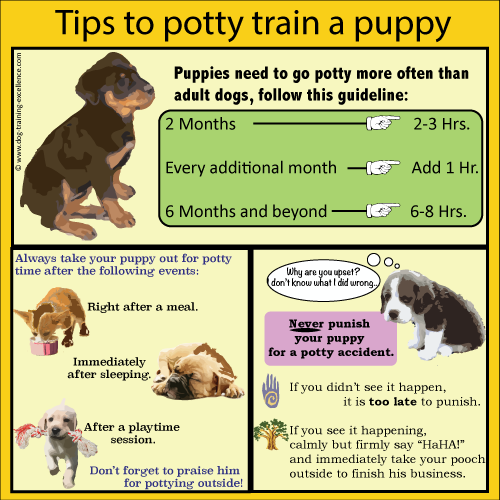 Your puppy needs to have positive interactions with many things, people, place etc. This will help him adjust better and become a reliable and friendly adult dog. This article helps you socialize your puppy in a positive way. You will also see a list of all the things your puppy should be socialized too! Tired of being scratched by those puppy teeth? Part of training a pupy dog means to teach them how to use their mouth properly. Dogs can learn how to modulate the pressure applied with their jaws. Every family pet needs to learn that when playing with humans no teeth or pressure are allowed at all! The best time to teach this is during puppy-hood. During this time, you should also teach your dog to play with his/her toys. Yes! you need to teach them, they don't necessarily know that what you give them is a chew toy. 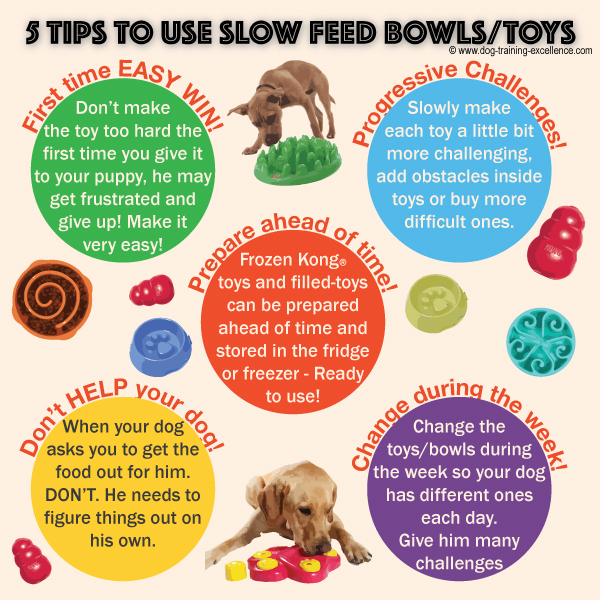 The best way to start is introducing slow feed dog bowls and interactive dog toys during your puppy's meal schedule. While you work on the above items I highly recommend you learn about different dog training methods. There are many ways of using positive techniques and by becoming acquainted with them you will be ahead in the game! Make life easy on yourself and teach your pup basic commands! These will become useful to avoid undesirable behaviors and also to prevent accidents! Teach your dog to sit. Teach your dog to lay down. Teach your puppy to settle down. Training a puppy dog also means to teach him good manners. Dogs need to learn that when living around people there are certain behaviors that are not appropriate. Puppyhood is the best time to teach these things to your furry friend! Walk nicely on a leash. Ask for permission: This will teach your puppy to look at you for permission before running away. Like chasing cats! 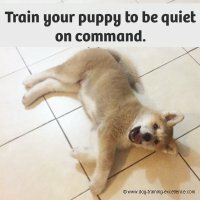 Stop puppy barking with the "Speak/Quiet" commands. Teach your dog to stay calm in his or her crate. Crate training is useful for potty training, preventing home destruction and giving your puppy a safe and quiet place to rest. Most of all enjoy your puppy and have fun! If you have questions or comments please contact me and don't forget to tell us your pup's story! If you are thinking about getting a new puppy but are unsure about what this will entail. Then this article will ask you some questions to help you decide. 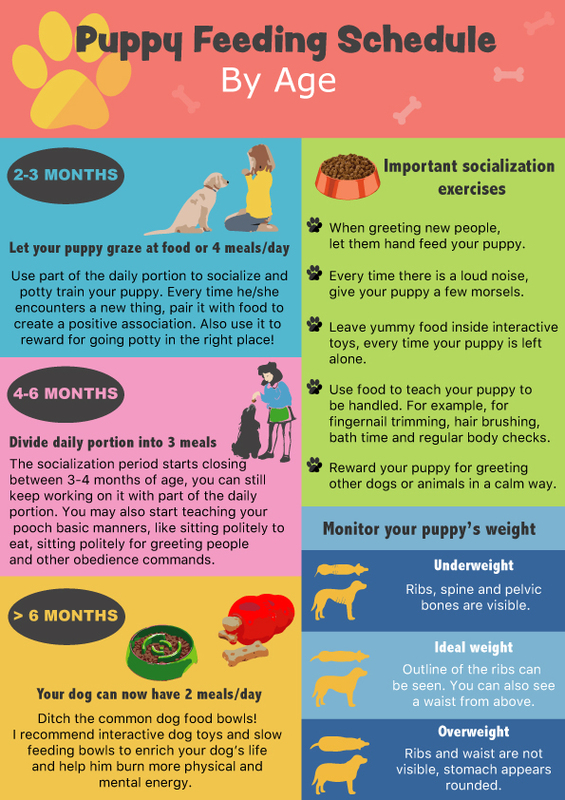 Don't know how much or how many times a day to feed your puppy? This cart will tell you exactly what to do. 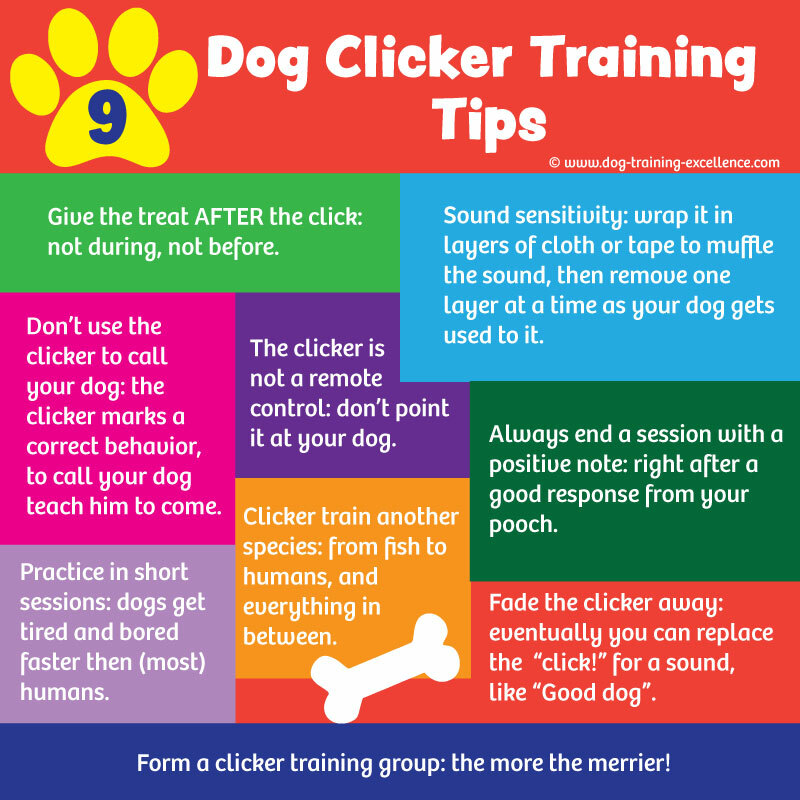 Clicker training is a dog training method to teach your pup everything you want. It's fun and easy to learn. Try ti! A fast way to get your puppy learning new commands is using hand signals. Dogs understand our body language better than our words. Start teaching your puppy today! Learn why and how it is important to feed your dog from slow feed bowls and/or interactive dog toys.